Case Study: Time of My Life For Windows Phone - Nova Software - Offering .NET development services, experienced C# and ASP.NET developers. the long-term contract model has become our main business model. the project cost is a function of the project execution time and the resources deployed. List detailedly each task working on today, and spending time for each task, so to make sure the work status is transparent to the client. Summarize the tasks of this week, estimate the progress and quality, and feedback issues & suggestions. The purpose of this white paper is to describe for our clients how the Software Quality Assurance (SQA) program is structured and how we ensure that the process is followed by every project team. Retrospect meeting will be regularly held at the end of each iteration, in order to sum up experience, and put forward suggestions on improvements, and eventually achieve continual improvement. 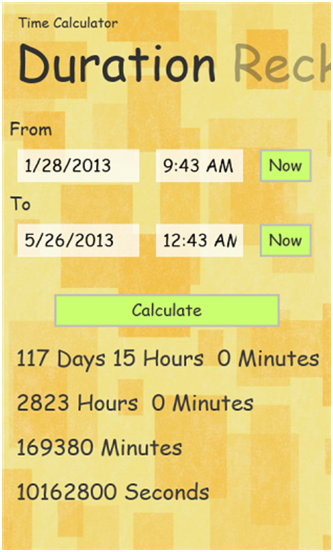 Time of My Life is a free Windows Phone application developed by Nova software.It can help you calculate the time. 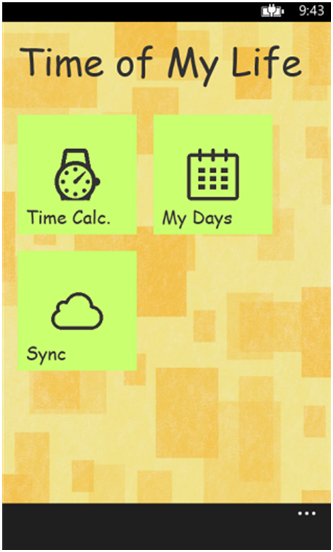 At the same time you can use it to add some reminders task; when the reminder time comes, it will remind you automatically. 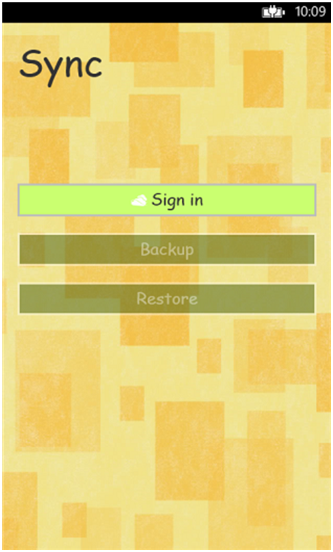 In addition, you can backup and restore customized reminders. 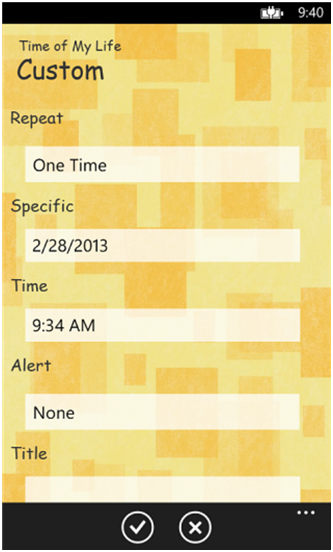 You can also have the same customized reminder when you change another phone by restore. Everyone is curious on their past and future time, and sometimes we would like to know the specific number of days, hours, minutes, as well as the number of seconds. The Time of My Life provides calculation function, which allows you to enter the start time and end time it can calculate the days, hours, minutes even seconds from the starting time to the finishing time. 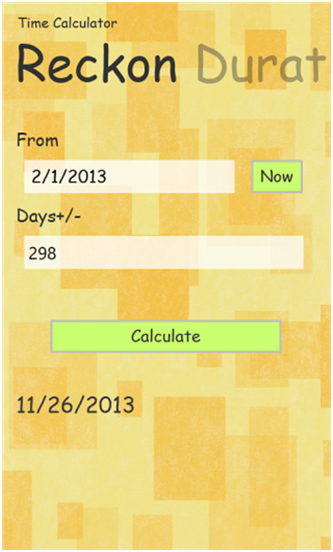 Meanwhile, it can calculate the specific date before or after a certain days. We often forget some important things and regret, and always want to be able to have a tool to remind myself. Time of My Life, a core function is to help you do plan things on time. 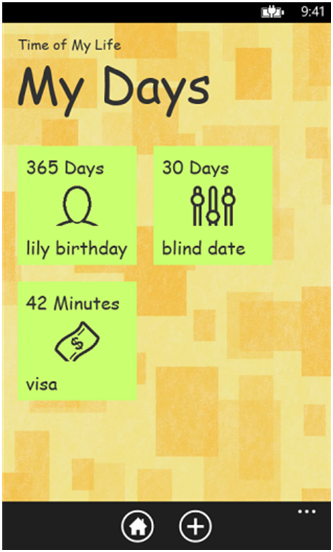 For example: birthday reminders, appointment reminders, but also credit card bill reminder and customized reminder. If one day the data was lost accidentally, or one day you need to replace the phone, you will worry about the loss of information. Time of My Life another auxiliary function is to solve this problem for you. You can always back up your data to SkyDrive when your data is lost or when you replace a new mobile phone; you can restore all the data from SkyDrive too. We have in-depth research and experience for Metro style, with Xaml to design Windows Phone page, has a good user experience. Provide a fixed reminder template (birthday reminders, appointment reminders, and credit card bill reminder), you can also customize the type of alert to make the software more flexible. Support for data backup and restore on SkyDrive. We can analyze requirements together with the client to help the client reduce the workload. We develop all frontend and backend functionalities for the client so that he/she can focus on the collection of business logics. We send to the clients daily and weekly report, indicating our progress and time we spend on each task. Thus, the client knows how the project is going and can manage the project in an easier and more efficient manner. We have a strict project management processes to control the progress of the project. We have a professional test team to ensure the quality of the project. Try out Nova right now ! Find out our technical competence by code! How Nova meet what clients need for software outsourcing! This is what we've been most proud of! Copyright © 2005 - 2019 Nova Software. All Rights Reserved.